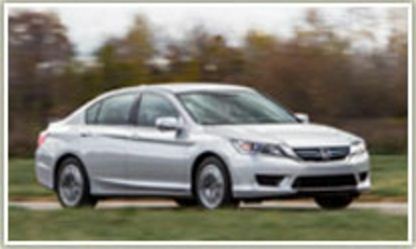 HONDA ACCORD: With its refined suspension and its lush brand new interiors that ensure unmatched riding comfort, luxury sedans have taken a whole new meaning- the Honda Accord. One of the quietest sedans in its class with a 2.4 litre, 142 BHP i-VTEC DOHC engine that roars to life in astounding silence. With its all-new G-Force Control Technology, an adjustable steering wheel with volume control switches and automatic headlights the Accord redefines safety, luxury and comfort.